Perfect for a relish tray or sliced in salads. Hard boil your eggs (Instructions below). Peel, and leave whole. 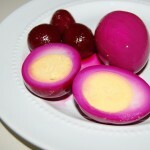 In a tall jar with tight lid, layer 1/2 dozen eggs and 1 can beets with pickling juice, repeat. Seal and refrigerate overnight. These are always better the second day. Can be eaten whole or sliced to garnish salads, etc. 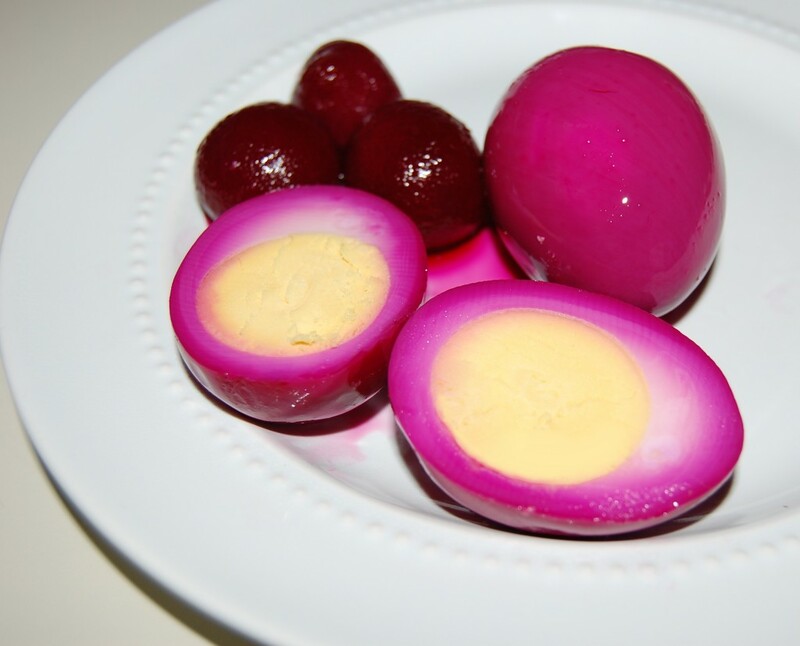 HARD BOILED EGGS: Place eggs in saucepan large enough to hold them in single layer. Add cold water to cover eggs by 1 inch. Heat over high heat just to boiling. Remove from burner, cover pan with a lid. Let eggs stand in hot water about 12 minutes for medium eggs, 15 minutes for large eggs and18 minutes for extra large eggs. Drain immediately and serve warm, or cool completely under cold running water or in bowl of ice water, then refrigerate.